On March 21, in a warehouse chemical plant in Hamburg there was a leak of chemicals therefore has covered the city with a poisonous cloud of orange color. 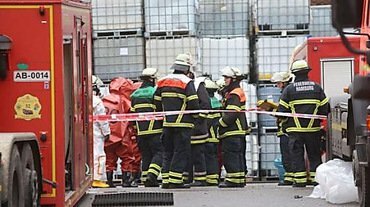 It is reported that in a warehouse there was a spill of sulfuric and nitric acid, as a result of chemical reaction over Hamburg the dense cloud of orange color has risen. According to preliminary data, spill of chemicals has happened because of the operator of a fork loader which has damaged two barrels with substances of 1 thousand liters everyone. Besides, Bild notes that messages on victims didn’t arrive yet. The emergency services work at the scene. To residents of nearby areas recommended to close windows in the houses.